Yahoo Answers is a treasure trove of answers about any and every question you might have. Whether I have a technical query or a random question I'm wondering about, it's almost always been asked by someone else on Yahoo and it shows up as a search result on Google. The answers there aren't always the best I could find, but they often help in getting me on the right track. It's kind of sad that one of Yahoo's oldest and least appealing entities (in appearance) has survived this long and is still one of its most popular nowadays. 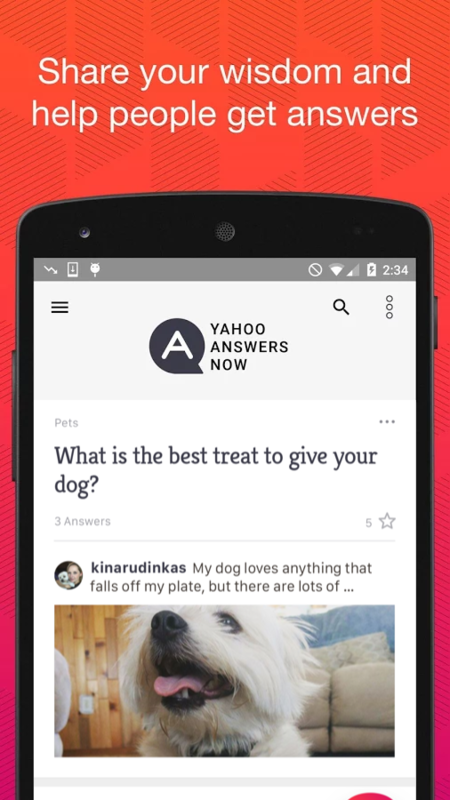 While you can access Yahoo Answers from the browser on your phone, a native app is sure to be more practical if you like to spend some of your time asking weird questions or answering strangers' queries. 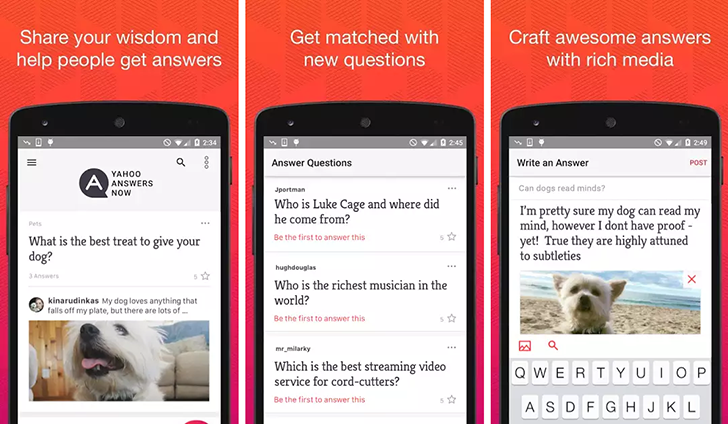 Well, Yahoo has decided to make that app: Yahoo Answers Now is, erm, now, available on the Play Store. 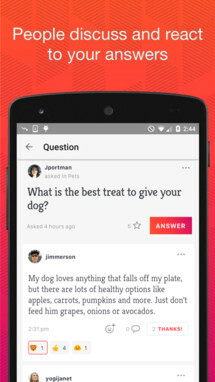 The app's listing is rebranded from Yahoo's previous Hive Q&A app (released in June). It lets you ask questions and get answers from real people not search engines, thank these people or follow them, receive questions to answer yourself, write rich replies with emojis, photos, and links, and get instant notifications for everything. 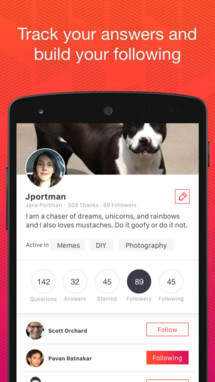 If you don't want to participate, you can simply browse by category and search among existing topics and questions. 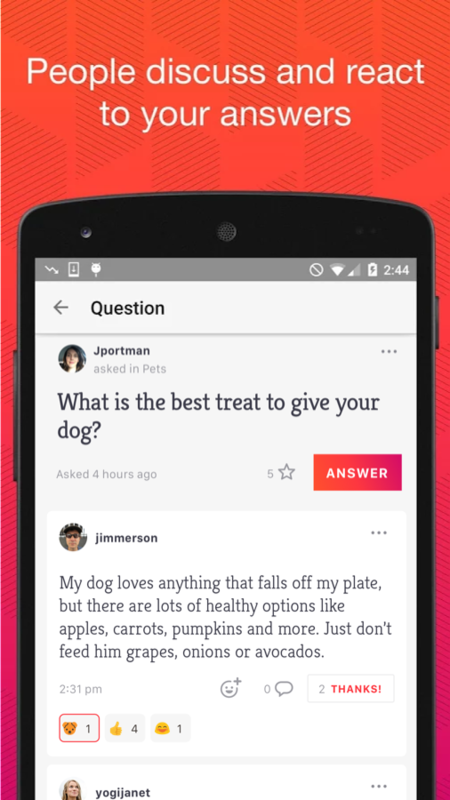 Yahoo Answers Now is available for free on the Play Store so you can grab it now and start reading all the random questions people ask strangers online.